If you want to sell your home, you need to stage it properly. It’s like going on a job interview — you have to make sure what you’re selling is packaged properly, or else you might not get any takers. This task is easy enough if you’re not living in the home anymore — you can just hire a staging company to bring in the perfect setup. What does this look like? Just look at the pictures on the right side of this page. Every chair, table and plant has been certified by a focus group as everyone’s ideal. But what if you are still living in your home? Most people selling their home live in it until it’s sold. How do you turn what you already have into the perfect setup? First, real estate agents agree, you must take down all the pictures of your family and all of your really personal decorations, like that lumpy, yellow, ceramic lion your son made in 3rd grade that you keep on the mantel. Potential buyers want to be able to picture themselves living in your house, and having lots of personal effects around makes that more difficult. Second, get rid of a lot of your stuff. You can put it in storage if you want, then get it back out to clutter up your new place, but you’ve got to get it out of your house for now. 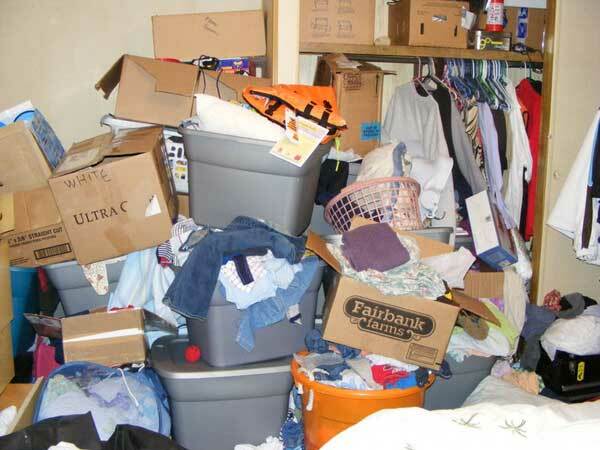 Of course you want your home to be free of clutter, but you need to do more than that. When the job of staging is handed over to professionals, they sometimes remove as much as half the furniture in a home. Even if your home is nicely decorated with new furniture, you’re going to want more of a bare-bones look, because buyers are attracted to spaces that feel big and open. It makes them feel secure knowing they will be able to fit too much of their own furniture in there. And speaking of space, don’t hide any of your stuff in your closets — house hunters are going to look there. Closets are hugely important to people, and you’re going to want to make yours look big and bright. If you have an old home with no light in the closet, invest in a good battery-powered light. Tiny, old closets can really turn buyers off, so if you’re stuck with any, at least make use of all the space by copying a closet layout online, or getting some help from Elfa planners at The Container Store. People crave order in their lives, so if you go to the Container Store, spend a couple of hundred bucks on matching containers to hold items that already came in their own containers, like pasta, jewelry and shoes — it will make a great impression. Another tactic that seems to draw offers is decorating in a really impractical way. Put big pieces of art or wicker birdcages on your coffee table instead of coasters, and leave little room for a cup of coffee or a magazine. In the bedrooms, try a vase with nothing in it on the nightstand, and a couple of hardcover books you never finished reading from high school English classes, like the Scarlett Letter or the Odyssey. None of this is going to have the impact you want if your home isn’t really clean. Once you get rid of the clutter and the ancillary furniture, you’re likely going to see some parts of your house you haven’t seen for a while, and they aren’t going to be pretty. Scrub every corner, every nook and cranny carved into your baseboards. Use a brush, like a stiff toothbrush to get out all the crud. Once you’re done with this chore, you may see that the woodwork could use some touching up. A single refresher coat of white paint on your trim will do wonders — like when a fresh, new snow covers the toys left on the lawn and the oil stains in the driveway. Another critical element of staging is bringing the outside in. People want to feel like they’re incorporating nature into their lives, but without actually having any dirt or bugs in the house. If you can afford it, it’s a good idea to keep some fresh flowers in a vase. Or invest in a few easy-to-care-for houseplants if you don’t have any. True minimalists can make a statement with bare tree branches — you may have seen these mounted on walls or “planted” in vases. These are even better than plastic plants, because you don’t have to dust them! 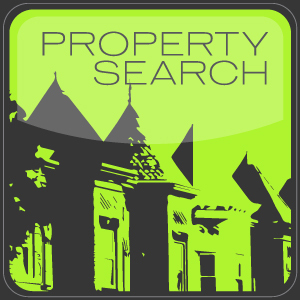 These tips can get you started on the road to selling your house for top dollar, and your real estate agent can give you more pointers specific to your particular area.